- Instruction manuals: did you know that…. You have the possibility to search within our website for content & products. Please enter your search term in the formular and press on the magnifier to start the search procedure. Alternatively you can use the Sitemap to navigate. Starting now, the efficient pH sensor Typ 226 (Order code 721 226) is going to be standard equipment for the handheld instruments AL10 pH and AL15. The advantages of this new sensor: the use of two ceramic diaphragms and a high-quality glass membrane ensure a short response time and accurate measurement values even in ion-deficient samples (≥ 80 µS cm-1). 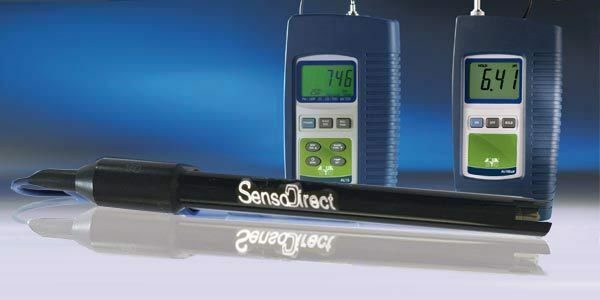 The sensor covers a pH range from 0-14 and can be used in a temperature span from -5°C to +80°C. The sensor design with gel electrolyte and plastic shaft facilitates low maintenance and universal use in industrial applications, waste water treatment and pools. The previous sensor (Order code 721 330) will furthermore be available separately. Do you have any questions left? Then please contact us via email to sales@aqualytic.de. We are happy to support you. Instruction manuals: did you know that….